Equip: Gain 10% increased movement speed and 2% Haste. Successfully applying a loss of control effect to an enemy, interrupting an enemy, or dispelling any target increases this effect to 70% increased movement speed and 25% Haste for 10 sec. This increase may occur once every 30 sec. "Intangibility is a curious concept. The word suggests some magical ability, but in the physical world, it simply means the power to be here or there, now or later." Equip: Your melee auto attacks increase your Critical Strike by 6 for 10 sec, stacking up to 10 times. This effect is reset if you auto attack a different target. "Marked with a raven silhouette." Equip: Your melee and ranged attacks have a chance to grant you a Fiery, Frost, or Arcane enchant for 20 sec. Equip: Grants the Soul Carver ability, which slashes your target for Fire damage and tears Lesser Soul Fragments from them. "The Aldrachi were a proud race. Too proud to serve. 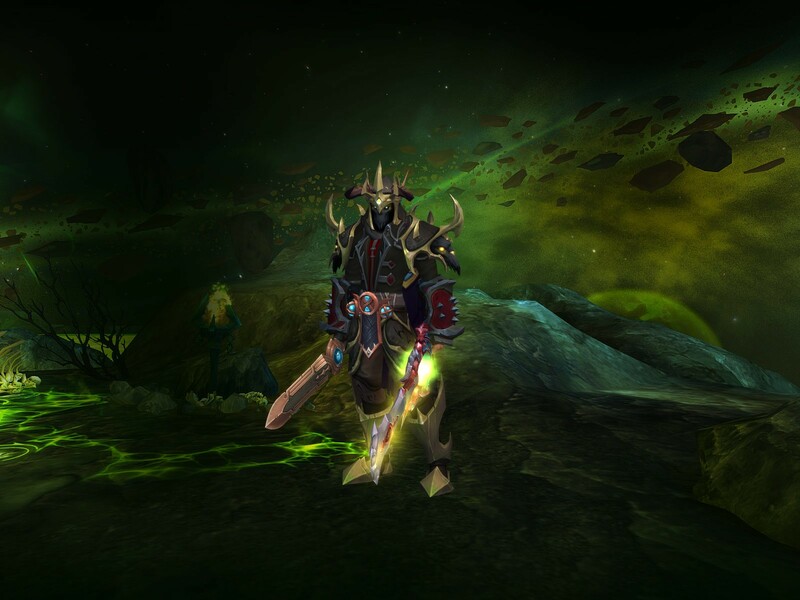 Millions of demons died before the Aldrachi were wiped out, and it took Sargeras himself to kill their king." "His warblades howled over the clamor of battle, rending anything that came near. 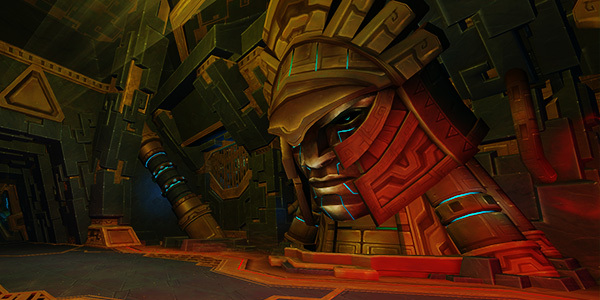 Each demon Toranaar vanquished seemed to fill him with renewed vigor and strength. He was an army unto himself."